If your company is considering contacting factories in China to find a manufacturing partner to produce products you can sell in the digital marketplace, then it is imperative that you approach this process with your eyes wide open. It can be very enticing to try and increase your profit margins by actually going to the “source” of a hot selling product. However, for it to be worth that effort…you must be smart, savvy and a bit cynical in securing a manufacturing partner behind the Great Wall. It is quite common today to develop your own manufacturing conduit from the international marketplace. Many companies will tell you that once they decided to bypass a middle-man who “brokered,” their product orders, profits increased as expected. What you may not hear quite as often is that if they had it to do over again….they may have reconsidered such an endeavor. The obvious reason to go directly to the factory that makes a specific product you are selling is to increase your profit margin by cutting out a layer between you (as the reseller) and the factory as the manufacturer. However, the process of managing that direct relationship can come with so much baggage that it may not be worth the additional points in your pocket. In other words, you must be prepared to deal with the fact that the level of additional profit you make on the product is not indicative of how much additional effort you may be required to provide to keep the project on track. There is a reason not every company is dealing factory direct with manufacturers out of China. 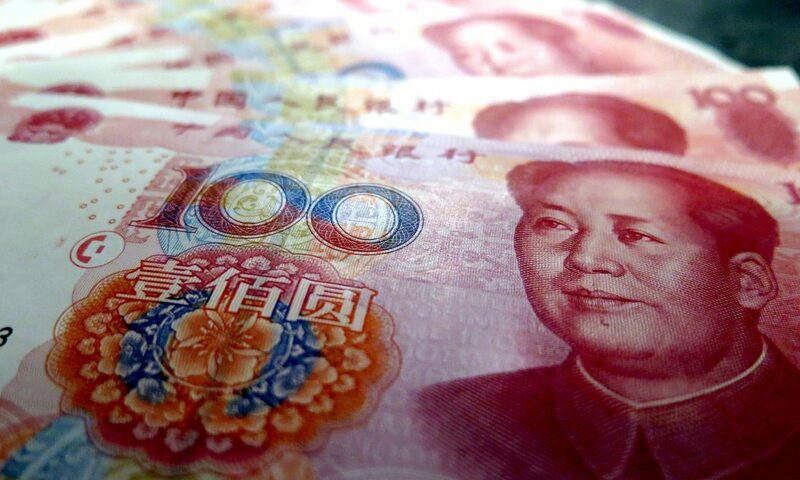 There is an old saying that goes, “…time is money.” In China the translation of that saying is “…time will make money.” This is the belief that the longer a process can be drawn out through tireless negotiation, the more likely the party more committed to that process will benefit. You must enter this process with the following assumption in place. There are good, honest manufacturers in China and there are bad, dishonest manufacturers in China. There are even good, dishonest manufacturers in China. Mitigate your expectations on easily locating the good, honest ones as you will no doubt have to sift through the rest first. Below are some tips and tricks you may want to consider trying to avoid wasting time and becoming frustrated with this effort. Start With References! When you get ready to talk to a manufacturer in China, you should be looking for a couple of common denominators. First, they need to have active relationships (over 2 years) with other U.S. based companies…AND they must be willing to provide you those references as needed. CALL THOSE REFERENCES and don’t take for granted they must be good if they are provided. Even good references may share “issues” with you. If they don’t have someone on staff who speaks fluent English, move on! It is imperative that you are able to have detailed, direct, accurate conversations with someone at the factory. If you don’t speak Mandarin… then it falls upon the factory to speak English. You will find many factory representatives that speak “Chinglish.” This is a form of broken English that gets worse when the subject gets more pointed. In other words, they may understand everything you are saying when discussing the weather, but, oddly they develop language issues when discussing your invoicing, scheduling delays, pricing and technical issues. Contract with an outside QC Inspection company. You will need to contract with a Chinese based Quality Control inspection company to review your products before they are shipped to you. This company should represent your interests with the factory regarding the production of your products. They can help you increase the quality of your product as well as help control costs associated with returns and warranty issues. Be prepared to have to eventually visit the factory personally. This may not be as big a requirement if you are having small “widgets,” manufactured as opposed to more technologically advanced products that are intricate and costly in nature. However, developing a personal relationship with project managers and factory owners can only help as your project matures moving forward. You may find that the few points of profit that you paid your middle man (broker) to manage the process and the relationship with the factory was a bargain at the end of the day. However, you may decide that addressing the ongoing accounting issues, constantly renegotiating the production schedules and QC requirements and overseeing the shipping logistics are more than worth it if your profit margin widens from those efforts. At MosaicaFX we can help protect your profits developed from international transactions. We also can assist your business in many other areas. Don’t waste another minute and set up a meeting with one of our Executive Account Managers today. Manufacturing in China may be the key to growing your bottom line. Counting on someone like MosaicaFX to help navigate this challenging process could be the key to your success. As of 10:45 pm Thursday night, June 8th 2017…the Conservative (Tory) party of Prime Minister Theresa May was trailing the Labor parties Socialist Leader Jeremy Corbyn 182 seats to 190 seats in the Snap Election called for my the current PM. The significance of the Prime Minister’s Conservative Parties thumping in this election by the Labor Party is that it is essentially a vote of “no confidence,” in the current Prime Minister and her party being in control of Britain’s Parliament. Exit polling commissioned by the U.K.’s three main broadcasting networks and released after the polls closed at 10:00 pm, projected the Tories to hold on to 314 seats (down 16 from their total during the last Parliament) while the Labor Party was forecast to gain 37 seats bring their total to 266. The Scottish National Party was projected to slip 20 seats down to a total of 34 and the center-left Liberal Democrats were projected to end up with 14 seats…up five from the last Parliament. Based on these exit polling numbers and if they hold true, means that effectively the ruling Conservative Party would hold the same number of seats as the three other Parties combined…thus resulting in a “hung,” Parliament! Officially a Party in the U.K. needs to win 326 seats to gain a majority in the 650-member House of Commons. However, the actual magic number is closer to 323. The Speaker does not vote and members from Sinn Fein, the Irish Nationalist Party which won four seats in the last general election in 2015, do not sit at Westminster. While the Conservative Party would remain the largest single party, the fact that Labor Leader Jeremy Corbyn is now close to the threshold of Number 10 Downing Street means that if these numbers are accurate, the projected result could lead to the end of Prime Minister May’s tenure. The second question it begs is why would Corbyn, a 68-year old socialist who has fought tougher anti-terrorism laws for decades appeal to voters? It all the more confusing that after the recent terrorist attacks in the U.K. voters would consider someone who would most likely stall the strengthening of anti-terrorism protocols and actions. It is also no secret that Corbyn is not a proponent of the U.K. leaving the EU. IF…and at this point it is a big IF…May is forced to resign as Prime Minister, then a great many questions will need to be answered. Will Brexit remain on track? What shape will the negotiations take that are in the offing for a successful resignation of Britain from the EU? How will this election affect the GBP? It is possible that the actual election results may vary a bit from what we are suggesting in this article. That is just the risk associated with writing an article based on exit polling. However, one cannot overlook the impact of even a close election for May. For many security-conscious Britain’s a loss for the Conservative Party is more than they can contemplate. 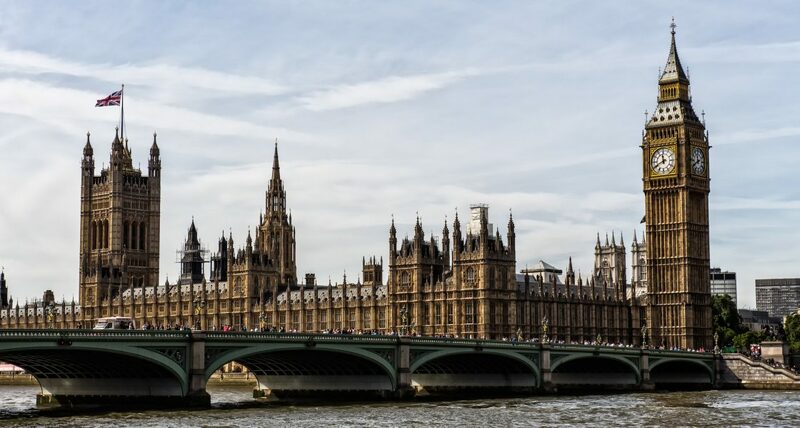 The GBP has already weakened over the recent days and a “hung” Parliament can only cause even more volatility for it and the Sterling in the currency markets. Senior MosaicaFX Management has already prepared a currency management strategy to offset these latest political developments and protect your profits. Contact us today so our Executive Account Managers can detail these strategies for you. Risk Premia SPIKES… French Fried Markets! The first round of French elections is just days away and the long-time establishment pollsters are beside themselves with derision. They have never witnessed such close polling between candidates this late in the process. Sharing these concerns over the lack of a more pronounced separation of candidates, it appears investors in stocks; bonds and currency (FX) are also perplexed as to what the outcome of this election will hold for the markets. Case in point, investor hedges and risk premia are at (or near) record highs across the board for these markets. One only needs to reflect upon the growing market anxiety to see just what importance this week’s election holds. Sunday will mark the first round of voting for France’s national elections. It can be said that France’s pre-election polling is as roiled and confused as our polling in the recent U.S. Presidential election. To wit, every poll for the past month has indicated that Independent Emmanuel Macron and the National Front’s Marine Le Pen are in control of the top two spots. Similar polling seems to indicate that Macron would win a May 7th runoff. However, both of the two front-runners have been steadily slipping over the past couple of weeks. This has allowed Republican Francois Fillon and Communist-backed Jean-Luc Melenchon to climb within striking distance of the two leading candidates. As Managing Director of Kantar Public France, Emmanuel Riviere has stated, “…This situation is totally unprecedented. The fact that there are four potential finalists makes the situation very complex.” In fact, one of the most concerning points for pollsters is the large level of indecision still apparent among most French voters. One of the reasons that may explain the record high hedges in EURO/USD is due to the uncertainty evident in the electorate. This uncertainty and volatility is significantly greater than during elections just five years ago. Equity investors have never been so hedged against a downside and bond investors have dumped OAT’s as aggressively as they could. The direct impact that this uncertainty has created has caught even experienced investors off guard. BofA has noted that their European Strategists are forecasting stocks in the region to rally in the event of a Macron or Fillon win and to possibly fall (in the short term) by as much as 13-23% if Le Pen wins due to a higher risk of France leaving the currency union/ EU. They view financials and other peripherals as more vulnerable to a Le Pen victory although Labor and nationally supported portfolios may actually strengthen. It is expected that if by some small chance Communist-backed Jean-Luc Melenchon were to win (or even make it to the May runoff) all bets are off with regards to what the markets may do. Such a message his win would send would have potentially dire ramifications across many financial fronts. 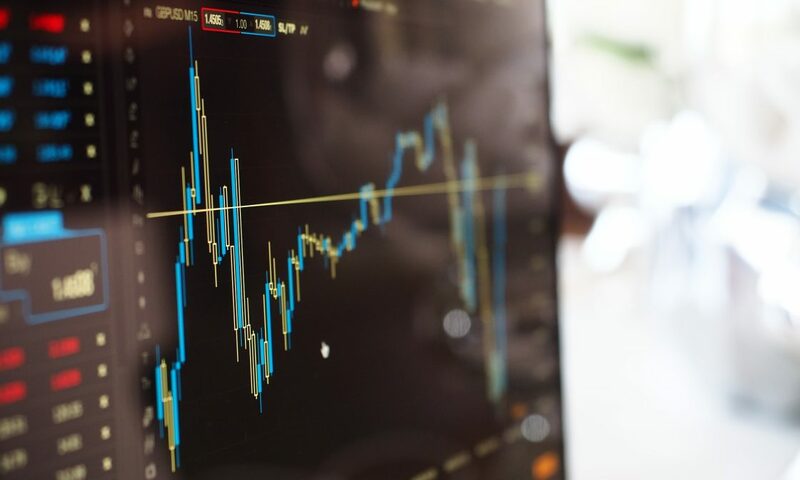 MosaicaFX has recommended that currency investors meet with their currency management teams to explore what options are available to help protect profits. 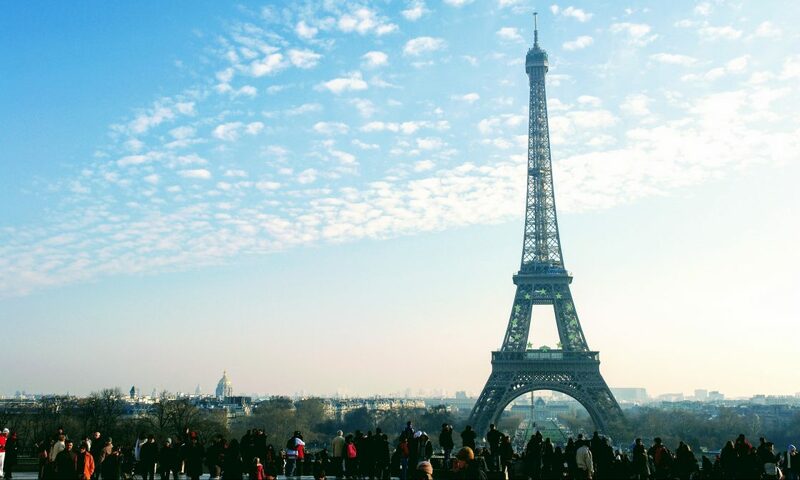 It may be that the aggressive and even record-setting hedging that is taking place in France due to the looming elections should be studied analytically for future guidance in situations such as these. We are seeing such hedging being implemented in other markets regarding other currencies traded against the U.S. dollar. Feel free to contact one of our MosaicaFX Account Managers to discuss the impact of the national election being held in mere days for France. Due to the fact that all four of the leading candidates will no doubt impact a wide swath of the markets no matter who wins, it is expected that preparation within the next 48 hours may offset the turmoil that may result from Sunday’s election outcomes. Parliament Attack, Robo-Adviser, Le Pen, Bear Greenbacks… What is the World coming to? Breaking from our normal MosaicaFX news article model, we thought we would touch on a few different subjects in this submission. It seems like so much is happening almost simultaneously anymore that we may occasionally need to combine multiple subjects since they all end up in the same place. Specifically, it seems like nearly every day some type of “headline” is screaming for our attention to try and either scare us into a “knee-jerk reaction,” or paralyze us with fear. More than a portion of the articles we read today will never impact our lives or our businesses due to them focusing on unlikely scenarios or outcomes. While other articles may contain interesting and even important information that our knowledge of, could indeed be important. The bottom line though is that we need to adjust our “input-filters,” to handle and prioritize the extreme amounts of data and information we are inundated with in this era of instant reporting. Below are some subjects that are from both ends of the information spectrum. The only thing we know for sure about them is that they will undoubtedly result in currency and economy fluctuations in the global marketplace. Wednesday, March 22, 2017 – some type of attack occurred at the House of Commons in Westminster London. At least four people were killed and more people were injured, some of them gravely. The Prime Minister was evacuated from the Parliament grounds during the attack. No word as of yet if this was a terrorist attack…although the early indications are that it was. Outcome: Our prayers and best wishes for these innocent victims and their families are of course with them. From a business standpoint, we can only imagine that this attack will have some type of negative effect on the GBP currency in the short term. Is such an anticipated negative effect on the UK’s currency logical? Not really. However, logic does correlate with many currency or economic outcomes as of late. Sometimes it appears as though the market reacts only because it thinks it is supposed to do so. Goldman Sachs is developing a robo-advisor for the financial markets. This platform would be software based to provide mass-affluent clients, “…detailed information on their financial portfolio and analytics,” as noted in Bloomberg. The digital project will, “…cover mass affluent markets by building an Automated Digital Advice Platform (Robo Advisor. )” This news came after Merrill Lynch launched its own robo based advisor in February. Outcome: Evidently we are moving towards a world where taking the time to actually speak to a client who may have millions of dollars invested with you is no longer worth the effort. Goldman Sachs private wealth unit targets clients with at least $50 Million in assets so we can only surmise that the future will mean that to qualify for a live human being to answer your questions…you will need more than $50 Million in assets. To be fair, Goldman Sachs has been attempting to drive a more “mass-market” oriented approach to client growth lately. Perhaps, this will pair with that approach. Just as in the recent U.S. national election, the polls in France are all over the place. Official surveys forecast that while the candidate may squeak by a win in the primary, she will be trounced in a general election. However, new “secret polls” claim the National Front candidate is actually far more popular with voters than the official surveys forecast! What?! The polls are not in agreement with each other? Official polls from major media houses seem to indicate that the establishment candidates are poised to win the election….but secret polls are indicating that the far-right, nationalist agenda candidate may be unstoppable at this point. Outcome: Marine Le Pen may have the backing of more than 30% of the voters ahead of the presidential elections in late April and May, according to these hidden surveys. Terrorism and EU globalist driven policies are not setting well with the French people. If this candidate is in fact elected to the highest office in France, it will no doubt roil the EU in general while possibly strengthening the U.S. Dollar and GBP. What may be good for France may cause reverberations felt throughout the EU and beyond. The U.S. Dollar is still working its way through a technical correction to the downside after last week’s lukewarm endorsements of the Dollar by the Fed after announcing their latest rate increase. Considering the concerns over the labor market’s background disappointments (Payless Shoes soon to be filing for bankruptcy and Sear’s announced floundering… as examples) not only wages but even the Congress struggling to develop the Administration’s promised tax cuts in a timely fashion… has forced the Greenback to erase all of its post-election gains. Outcome: If the U.S. Dollar continues to slide due to weak payroll and employment concerns coupled with apparent Congress infighting, it is expected that this “correction” in value may not be a completely bad thing. It is possible it will provide a clean slate for the Dollar as the year moves forward. General expectations from most currency experts indicates that the Greenback may remain flat or slip a bit more until a foundation for stabilization is in place. There is a lot of things happening in the world today no doubt. As currencies and economies are more dependent upon each other than ever before, this is the time to rely on experts and trusted advisors to support your business ventures. If is for these reasons that MosaicaFX is contacted by new clients literally every day who are interested in working with us. Now is the time for you to consider who you plan on relying on for 2017 and beyond. Now is not the time to face these uncertain days alone. The consensus for Germany’s industrial output for December was that it would reflect a modest rise of 0.3 percent as the 2016 year came to a close. However, economists and industry insiders were stunned to see that industrial output actually fell 3.0% for the month! In fact, the drop was the single largest monthly tumble for nearly eight years. As the industrial output numbers were published by the Economy Ministry in Berlin Tuesday, the agency struggled to come up with realistic reasons for the slip in output. When the new numbers were released, the Ministry also made sure to note that industrial orders posted for December reflected the strongest rise in future orders in almost 2 ½ years, suggesting somewhat of a rebound in manufacturing in the first quarter of 2017. Analysis of the industrial output numbers seems to indicate that the fall was mainly impacted by a 3.4 percent decline in manufacturing output, with an equally dismal drop in the production of capital goods. This coupled with a 1.7 percent decrease in construction seems to have made up the lion’s share of the total 3.0 percent drop in industrial output for December. It is expected that unusually cold winter temperatures facilitated the temporary decline in construction starts. As for the balance of the negative numbers released by the Ministry, it is thought that several factors played into the industrial output tumble. 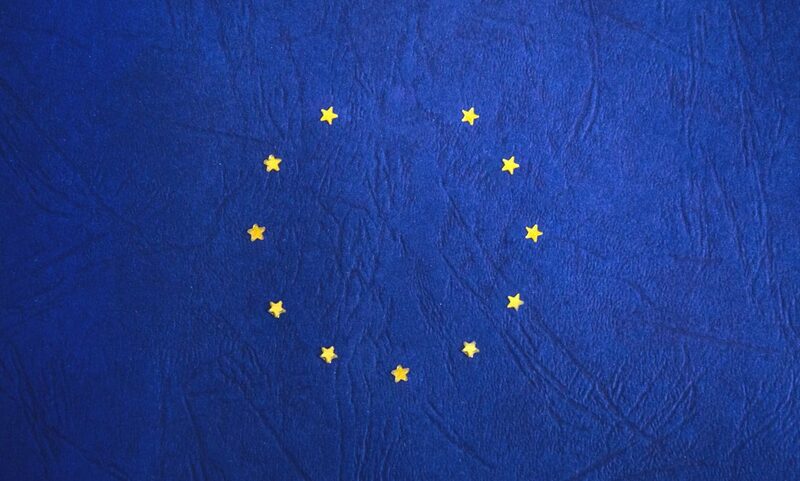 The Brexit vote is still looming large as to how it will impact both the European Union as well as Germany directly. The questions the UK vote has generated create a great deal of uncertainty regarding medium and long-term economic impacts on the German economy. Numerous analysts have noted that the influx of huge numbers of immigrants and refugees into Germany has had a “chilling” effect on many investors within the German borders. There is uneasiness in the financial districts as they wait to see how the German government will be handling this turmoil. To add even more confusion to the results of the latest numbers released by the German Ministry, from a macro standpoint, the German economy grew by 1.9 percent for 2016. Assisted by soaring private consumption of goods and services, higher construction investment and increased spending on the refugee crisis facing the country, this growth rate was the strongest seen in over five years. What does it mean for the U.S. dollar? The German government expects weaker growth for 2017 than it experienced last year. Due to weaker export numbers and the ongoing investment uncertainty forced upon the government because of the expanding refugee crisis, domestic growth is expected to be somewhat “muted” compared to 2016. However, there is still some hope for a “revival” of industrial output in the coming months based on unemployment dropping to a record low and posted factory orders rising to a three-year high. There is only one thing certain today; the world of currency trading is more fluid and volatile than ever before. It is important to note that geo-political and domestic security issues are more rapidly updated on a global scale than they have been in the past. With elections just around the corner in Germany and the EU in somewhat disarray due to Brexit and other Member States contemplating the future of the union, currency valuation for the U.S. dollar against the Mark (DEM) still holds fairly strong considering the bearish positioning of the Greenback over the past few weeks. Now more than ever it is important that you work with a Foreign Currency Exchange Management Group you can trust. MosaicaFX is a company that values our clients and doesn’t “guess,” with other people’s money. We look forward to helping to navigate you through these hectic times in the currency exchange market place. As we are always looking for new markets for our e-commerce clients to explore with their digital sales efforts……sometimes, opportunity that is closest is what we over look first. As we continue to discuss European, Asian Rim and other overseas regions, we should not forget the markets that are “next door.” That brings us to our “cousin” to the South, Rich Port or as it is more readily known, The Commonwealth of Puerto Rico. Puerto Rico has many positive attributes for digital clients to consider that wish to sell products into foreign markets. First, it is a U.S. Territory, which means that its laws and commerce customs are similar to those in the United States. In fact, its official currency is the U.S. dollar. This fact alone makes the Territory very appealing. Second, even though it currently has a high public debt, the World Bank has classified it as a “high income economy,” and also as the most competitive economy in Latin America. Third, this is a country that is highly dependent upon imports. This means that these island based consumers are not afraid to order products online and apparently do so with gusto! Consumers in Puerto Rico offer very similar purchasing demographics to those in South Florida, specifically in the Miami area. Their purchasing habits reflect a keen interest in electronics, fashion, entertainment materials, mobile phones and jewelry. Since their currency is the U.S. dollar, they find it very easy to purchase products from the U.S. 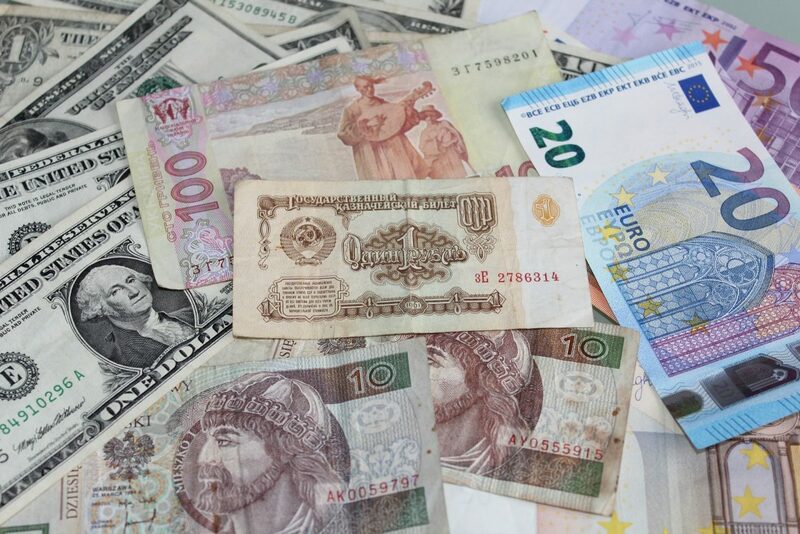 However, since the U.S. dollar is so strong currently, they are now expanding their buying habits to take advantage of markets and foreign manufacturers that operate under competing currencies. The majority of internet buyers are between the ages of 20 and 48 years of age. Most of them use credit or debit cards to make digital purchases with approximately 42% of them using web based payment systems to consummate their digital transactions. As with most “island consumers,” they are not put off by slower shipping time frames and, keeping that in mind, they appear to demonstrate “bundle,” purchases. In other words, their purchasing habits seem to reflect a willingness to add additional products in their packages to offset shipping rates. While this doesn’t mean they will “stuff,” their packages with additional products in a binge buying approach. Instead, it seems to indicate that they will add other products that they have contemplated purchasing previously to their latest order. Therefore, up-sells and add-ons appear to be reflected in their online purchasing habits. If you choose to explore this digital opportunity there are a few points you should consider. Even though most Puerto Ricans speak English, you would be wise to provide a complete version of your website in Spanish. Doing so will definitely encourage more sales as well as minimize your potential return volumes. Puerto Rican citizens are a very proud and patriotic people. Products branded with the official flag of Puerto Rico or with other patriotic themes are well received. Offering additional products for “add-ons,” or up-sells to products sold, usually are successful. In other words, if you are selling watches, perhaps offering additional watch bands as add-ons will help to push your sales numbers higher. It is imperative that your returns policy be clearly defined on your website. Again, make sure it is clearly stated in Spanish as well as English. Puerto Rico does not have island wide broadband coverage as of yet. For that reason, a simple website that is fast-loading and does not “stall,” or lock-up is imperative. This alone can provide you a tremendous advantage over your competitors. Simple and fast features will outweigh slick and flashy websites. The key is for your website to load fast with minimum hassles. 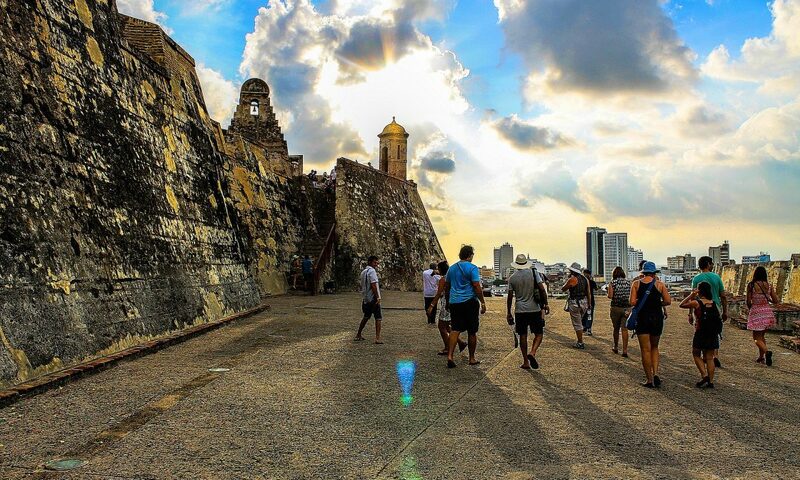 Puerto Rico is still one of the premier tourism destinations of the Caribbean. For that reason alone, many manufacturers/ distributors are committed to product representation on the island. If your product can be found by tourists from around the world at their vacation destination…..it is likely to follow them home if they find it appealing. Puerto Rico is not without its own perils. As stated earlier, Puerto Rico carries more debt per capita than any State in the United States and it also has very high unemployment rate that runs almost twice what the U.S. mainland reflects. The U.S. Congress is still trying to figure out how to assist the island government in addressing its debt and deficit. Both of these issues cannot continue to be ignored, nor should they. It is expected that appropriate measures will be taken to address these concerns in the next several months. Finally, as Puerto Rico is an island located in the tropics, during “hurricane season,” you will need to monitor any storms that may target the Caribbean to ensure your shipments take those occurrences into consideration when you post expected delivery dates. Another long-term consideration for ensuring product presentation in Puerto Rico is that there is still the possibility that the Commonwealth of Puerto Rico may someday become the 51st State of Puerto Rico. If that were to happen, obviously products already being sold in that Territory would have a distinct advantage in capitalizing on that action. Until then, it is commonly expected that as products gain notoriety in PR, they are shared with family and friends in the mainland U.S. as worthy of consideration. As strange as it may sound, gaining a foothold in Puerto Rico may actually assist your domestic sales in the mainland! The bottom line may well be a simple one. Don’t ignore our little neighbor to the South…..it is not called Rich Port for nothing! So, You Want The Happiest People on Earth for Customers? Denmark is your market! So, You Want The Happiest People on Earth for Customers? The United Nations World Happiness Report (yes, there really is such a thing) has rated Danes as the happiest people on Earth two years in a row! Who wouldn’t knowingly choose inherently “happy” customers over “unhappy,” ones? If we start our review of the Danish digital marketplace with the realization that we may be dealing with some of the most pleasant people on the planet in Denmark, then surely it is worth taking a closer look at this countries business potential. All of the countries located in the European Union are “graded” on five criteria for rating their capabilities with regards to the progress they are making in terms of digitalization. Each Member State is graded on their progress in connectivity, human capital, use of internet, integration of digital technology and digital public services. This data once correlated is referenced as the DESI or Digital Economy and Society Index. Would you like to guess which country ranks first (1st) among the 28 current EU Member States? If you guessed Denmark you would be correct! Great Danes…..ARE the Big Dogs of Internet Use! At the end of 2014, fixed broadband was available to 99% of the homes in Denmark. Even with regards to mobile broadband connections, Denmark leads the EU average (42% vs. 30%). For regular, daily internet users….93% of the Danish population reports that they rely on the digital marketplace for almost half of their purchases. Hence, Denmark ranks highest in regular use of the internet among EU Member States, displaying a strong propensity of its citizens to use a wide variety of services and equally varied level of online shopping. Of the Danes that report on-line shopping for products, nearly half of them did so cross-border or internationally. For that reason, internet retailing in Denmark continues to attract attention from both consumers and companies. Strong value growth continues to expand regarding internet retailing primarily due to the slower expansion of traditional “brick & mortar” store-based outlets. Denmark’s physical construction standards and regulations are much like the rest of EU Member States. It can be a time consuming and daunting task to build traditional retail outlets. For that reason, it appears that many established physical retailers are now beginning to turn more aggressively towards digital retailing to support their market share expansions. 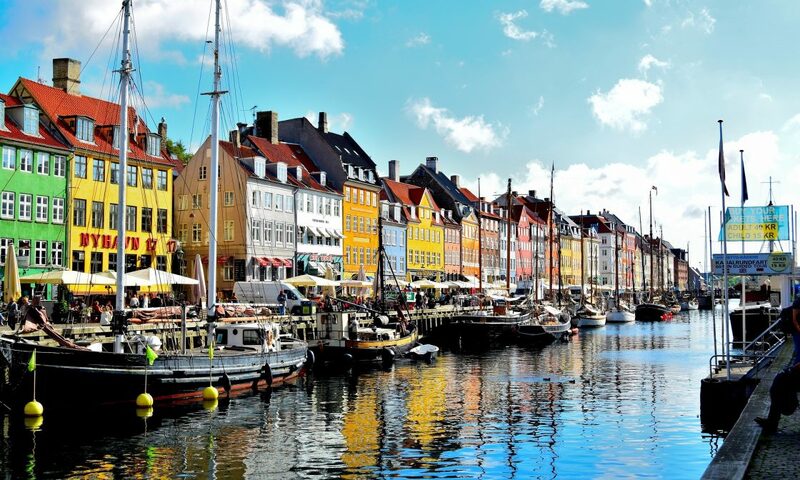 Denmark has a mixed economy that is classified as high-income by the World Bank. It ranks 18th in the world in terms of GDP (PPP) per capita and 6th in nominal GDP per capita. Denmark’s economy stands out as one of the most free in the Index of Economic Freedom. It is the 13th most competitive economy in the world and 8th overall in Europe. Not to mention Denmark is where Lego’s were invented! The country ranks highest in the world in worker’s rights and according to the International Monetary Fund, Denmark has the world’s highest minimum wage. Interestingly, Denmark has no minimum wage laws in place. Wages are set by the market place and nudged along with the help of strong labor unions. While 76% of Danes polled support globalization, as of late there has been a slight resurgence of nationalism resulting in a degree of skepticism of the EU among the Danish population. With the exception of Denmark’s close trading partners like Germany, Sweden, Norway and the United Kingdom…..Denmark’s consumers have been slower to warm towards global cross-border retail markets. This means that for successful penetration into the Danish digital retail-marketplace, a U.S. based SMB would do well to find a domestic partner “in-country,” to work through. Since the Danish Krone is still the currency of choice used in Danish transactions, confidence in your foreign exchange provider is imperative. We would suggest that you speak to your Mosaica Account Representative for more information about currency transactions with the Krone. With the United States not even cracking the “top 10,” as an import partner with Denmark, American products are not as common as one would believe in the domestic market place. This means that it may also be worth developing domestic partnerships within countries that are in that “top 10,” import list for Denmark. As an example, it may be more effective if you are working with a digital marketing partner in Germany…..who can then more effectively sell your goods in Denmark! Danes are a stout and honest people. They are known to be welcoming and friendly……and why not, they are the happiest people on Earth. If you choose to do business in Denmark it is worth noting that as a general rule, Danes are frugal and look for great “deals,” when purchasing on-line products. Don’t be surprised if they attempt to “negotiate,” pricing and shipping during their transactions. Remember, just because they play with Lego’s and are very happy people doesn’t mean they aren’t willing to haggle to get a better deal! South Korea is a Smart Ecommerce Market! In 2016 South Korean ecommerce is expected to total nearly $38 BILLION (USD) and is projected to surpass the $50 BILLION (USD) mark by 2018. As the most popular mobile phone country in the world, fully 90% of South Koreans own a Smartphone. This means that mobile ecommerce sales will continue no doubt, to increase at an impressive rate. Let’s take a look at some “key” information regarding the South Korean ecommerce market to better understand what this opportunity truly represents. South Korea is home to the third largest Asia-Pacific retail ecommerce market place. Mobile (online) ecommerce sales have increased an astounding 64% over the past two years. 5% of the population lives in urban centers, with Korean (97%) being the most popular language. The country has the second highest digital buyer percentage in the Asia-Pacific region, with 65% of internet users currently shopping on line. The two major holidays that bolster ecommerce sales are White Day and Thanksgiving. Because of the small geographical size of the country and the high population density in their urban centers, South Korea enjoys exceptionally fast fulfillment rates. The country boasts some of the fastest internet speeds in the world today, making online commerce particularly attractive. Why are Ecommerce Retailers Here? 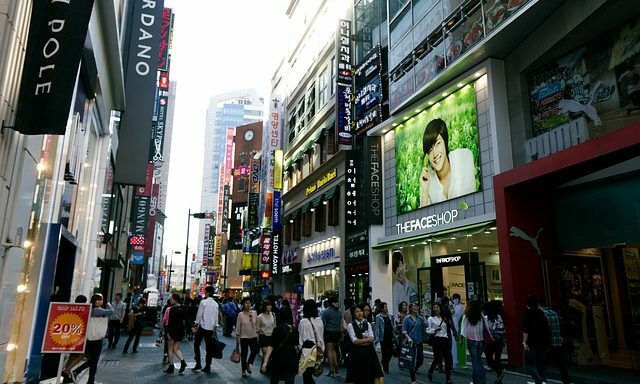 As technology has developed and become increasingly widespread, South Korean shoppers are relying less on local shops and more on digital storefronts. Since the country boasts some of the fastest internet speeds anywhere in the world, online shoppers enjoy minimal interruptions with their internet service and find they are able to “cover a lot of digital ground,” in highly efficient increments. The two major “spikes” recognized by ecommerce sellers for South Korea takes place one month after Valentine’s Day on a gift-giving holiday known as White Day. The second major spike in internet sales occurs during the Thanksgiving Day holiday in the US. While South Koreans don’t observe the Thanksgiving Holiday, they do a great deal of shopping on line to take advantage of the deep discounts that occurs around the Black Friday phenomenon. In fact, cross-border purchases from the US increased by 109% during the 2015 Black Friday Holiday. Cross-Border shopping is most common among the digital buyers ages 25-34 (46%) and in households with children (45%). South Korean online shoppers primarily buy from the U.S., Japan and China. The main reason for shopping overseas (online) is a desire for the Korean buyer to secure better quality products at more reasonable prices. Though South Korea is not a popular shopping destination, consumers in Singapore and China consistently purchase from the nation. In fact, 21% of online shoppers from Singapore chose South Korea as a “top destination,” for shopping……and fully 16% of China’s web based buyers followed suit. As South Korean buyers have increased their purchasing habits online, the top payment methods for these transactions have reflected the following trends; 52% of digital purchases are paid for with credit and debit cards followed by direct debit (16%) payments and then bank transfers making up 10% of those purchases. One of the most notable ecommerce characteristics prevalent in South Korea today is the extremely fast shipping they utilize for commerce and online sales. The nation has exceptionally fast fulfillment rates compared to other leading online retail countries. Multiple online marketplaces have deployed initiatives to build networks of modern, new distribution warehouses throughout the various urban centers. This allows for highly efficient delivery systems that are capable of consolidating products purchased from different sellers into one single box. The South Korean consumer is a very intelligent and savvy shopper. They gravitate towards unique and high quality products. They are interested in premium quality, advanced formulation cosmetics as well as herbal remedies for various ailments. They purchase travel-related goods and services followed by clothing and fashion products. Household goods are also a very big retail vertical for these online buyers. The aforementioned products make up fully 70% of their targeted ecommerce purchases. The South Koreans also purchase high quality electronics, cellular phones and lap tops/ tablets. These online purchases make up the majority of the rest of their ecommerce focus. These intelligent shoppers also focus on discounted pricing and/or sale pricing on products. They are not inclined to pay full price for anything. This is not to imply they are cheap……..but only very frugal and cost conscious when it comes to their webs based shopping. However, looking for the “best price,” while shopping in no ways means that the South Korean consumer will compromise on customer service. On the contrary, the South Korean people themselves are very warm and service oriented. For this reason, it is expected that they choose to be treated the same way when spending their hard earned currency. Finally, shipping and immediate product availability count as two of the main qualifiers these consumers look for to “seal the deal,” when they are considering purchasing a product from a specific seller. Interestingly, it seems as though they are willing to pay a bit more and wait longer for products from the US as opposed to products from Japan and China. It is not known if this is solely due to the products themselves…..or if it is also related to the warm diplomatic ties the South Korean people feel towards the United States. In any case, products from the US are the most in demand for the South Korean marketplace. To be an ecommerce seller in South Korea requires you to take several steps to qualify to do business in their internet marketplace. You must secure a certificate of business registration in South Korea; you must submit a bank statement to prove you are a legitimate business, a passport copy of the representative shown on the business registration and other additional seller information. While the submissions of these documents may seem unusual, they actually are considered a positive by most other ecommerce businesses that choose to sell in this country. It is expected that these additional requirements separate the legitimate, full-time sellers from the small “jobbers,” or part-time ecommerce “dabblers,” who may appear to compete with these traditional sellers. South Korea is a big, competitive ecommerce marketplace. Ecommerce sellers that are considering selling their products in South Korea should first carefully assess if their products are unique enough to separate themselves from the existing offering already available in the marketplace. If after making that assessment they decide to move forward……..with the right amount of effort, they will not be disappointed if they chose to enter the South Korean marketplace. Sales in the Outback…Time to take your walkabout! Want to Make Sales in the Land Down Under? The 2016 Ecommerce market in Australia represents the second largest online population in the Asia-Pacific Region. It hosts a highly stable economy and proximal location to Japan and China, and as such the market is expected to surpass $24 BILLION by 2018. In fact, Australia is ranked number 10 in Global Ecommerce! In addition, the Australian consumer is a smart and savvy shopper who has enthusiastically embraced online shopping. As their internet “shopping quotient,” continues to grow, the average “Aussie,” has expanded their electronic capabilities to include real time purchases through their Smartphones. In fact, by the end of 2015, 35% or all ecommerce transactions were completed on mobile devices. Ecommerce sales are projected to rise by a minimum of 21% by 2018, making Australia a prime market for internet sales expansion. Making this market even more desirable is that approximately 69% of Australian digital buyers make cross-border purchases…..primarily from the U.S., China and the U.K. As expected, fully 87% of Australians utilize credit and debit cards as their primary digital payment method as opposed to online payment “capture” systems such as “POLi” (the Aussie version of PayPal). Just as the U.S. has Cyber Monday during the Holiday Season, Australia was inspired to launch a similar ecommerce shopping event known as Click Frenzy. This highly anticipated shopping period takes place on the third Tuesday of each November. As a shopping day unique to Australia it has grown into a major revenue producing event, with the shopping day generating just over $200 MILLION in sales and the site receiving over 1.2 Million visitors in 2015. Along with Click Frenzy day, the other main shopping days are Christmas and Boxing Day. Altogether, end-of-year holiday sales in 2015 were record setting, Christmas and Boxing Day sales surpassing $2.5 BILLION! When one considers the vastness of the continent of Australia, the relatively small population of 24 Million people would tend to diminish the positive aspects of the market as a whole. However, when you consider that fully 89% of that population is urban in nature, with a rather low number of major metropolitan centers, the logistics of selling products in that market becomes very appealing. Australians enjoy a high average household income of approximately $59,000 (USD) and reflect a young 37.6 years of age (average). As 98% of Australians are fluent in English, we find that the three main provisions necessary for successful sales exists in the “Land Down Under,” namely an adequate disposable income needed to buy products, a technologically savvy shopping population based on their average(young) age and the ability to easily communicate in the English language. 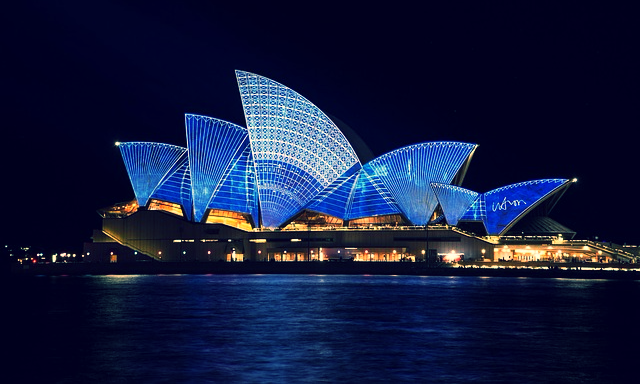 One of the top six nations in online retail imports and the leading cross-border spender in the Asia-Pacific markets, Australia offers a tax exemption on foreign purchases under $765.00 (USD). This Low Value Threshold (LVT) exemption allows Australian consumers to import duty-free products when they purchase from foreign retailers. Furthermore, approximately only half of Australia’s retail (brick & mortar) businesses have an online presence, which of course forces digital consumers to shop abroad. This cross-border trend is driven by younger adult shoppers, with those in the 18-39 age range making up 54% of cross-border purchases. According to the National Bank of Australia, online retail spending in Australia increased by 10% to over $17.6 BILLION in 2015. Comparatively speaking, this compares roughly to $562 BILLION in China, the country with the highest ecommerce sales and to $350 BILLION for the US. While the Australian number may appear small, it is important to remember that Australia’s population is only 2% the size of China’s! That being said, Australia has a higher internet penetration and Smartphone usage rate; with more than 90% of the population enjoying internet access. Underscoring the ecommerce opportunity in Australia, research studies show that approximately 30% of consumers spend more time shopping online than in a physical store……and that number is projected to rise to 40% by 2018. What the Aussie Ecommerce Consumer Demands! There are several qualifiers that Australian digital consumers look for when they are shopping on line. These qualifiers or requirements are becoming the informal standards that these consumers expect to find on the websites they choose to buy from. If you can incorporate these concepts into your website design, you should find more visitors frequenting your online inventories. Clean, Simple Product Descriptions. The average Aussie consumer likes direct, no-nonsense product descriptions and purchase instructions. As copy and text writers have continued to develop more grandiose vocabularies, it has become apparent that Australian shoppers do not find such efforts appealing. Video is Appreciated. Digital shoppers in Australia do appreciate video and audio demonstrations of products, especially technical ones in nature. They should not be longer than 90 seconds if possible, but, detailed and well produced are essential. Multiple Shipping Options. It will pay to develop multiple shipping options for your customers in Australia. While most will not require expedited shipping options, all will look for products with the most cost effective shipping available. In-Country Fulfillment. If you are looking for the single biggest advantage for selling your products in Australia, the best thing you can do is develop a relationship with a reputable fulfillment center in Australia. Let the orders be processed in the US, but let them ship from your warehouse in-country. While this may not be necessary to “kick-start” your ecommerce business in Aussie Land, it is worth considering if you want to take your business to the next level. Australia is considered by many to be an oyster ready to divulge it’s pearl to online sellers. With a population of easy going people who are smart, easy to communicate with, technologically savvy and financially capable to make online purchases, it should be expected that if you do not expand your digital sales on this continent……your competitors are sure to do so!